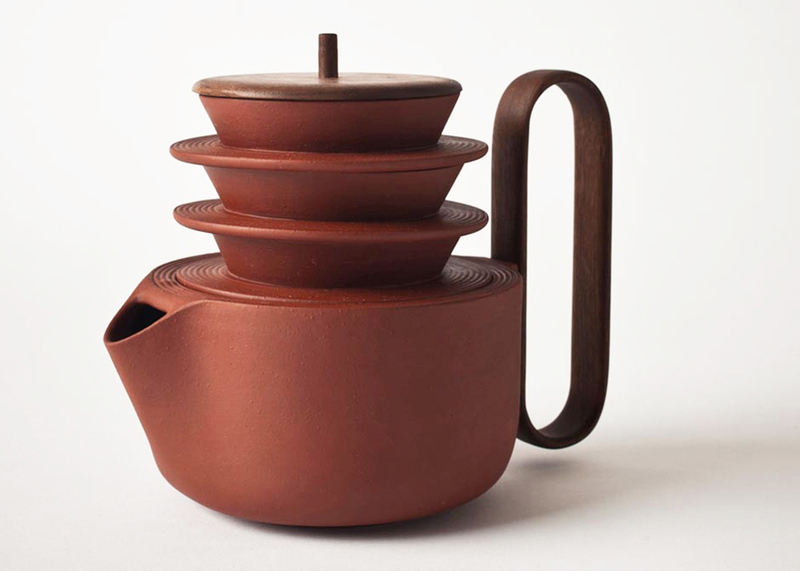 The beautiful Aureola tea set was born out of a collaborative effort between a Venetian and a Russian designer. 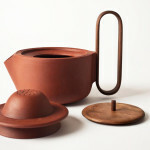 Luca Nichetto and Lera Moiseeva created the elegant set from two noble materials, porcelain and wood. 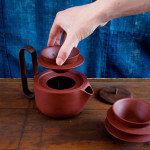 The inspiration comes from traditional objects used by ancient Russian nomads and consists of a stackable teapot and cups that can be carried with just one hand. 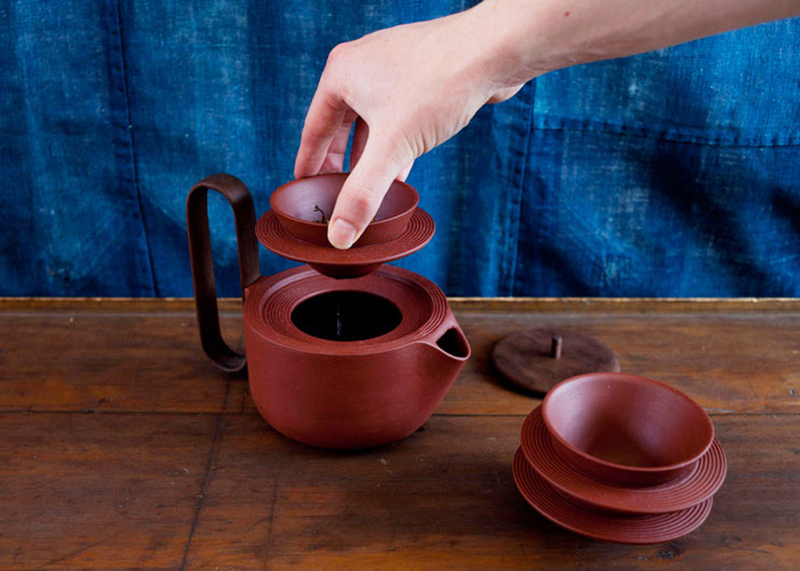 Aureola takes inspiration from piala, which are small cups for drinking tea commonly used throughout Russia and Central Asia. 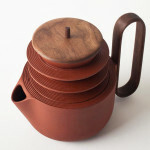 Their rounded shape without a handle makes them easy to stack and transport in a space-saving, compact pile. 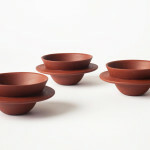 This allows for a solemn sharing ritual that plays an important social role even in today’s society. 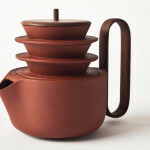 Nichetto and Moiseeva’s design consists of a teapot, its filter, and two stackable cups made from red-tinted dyed porcelain. 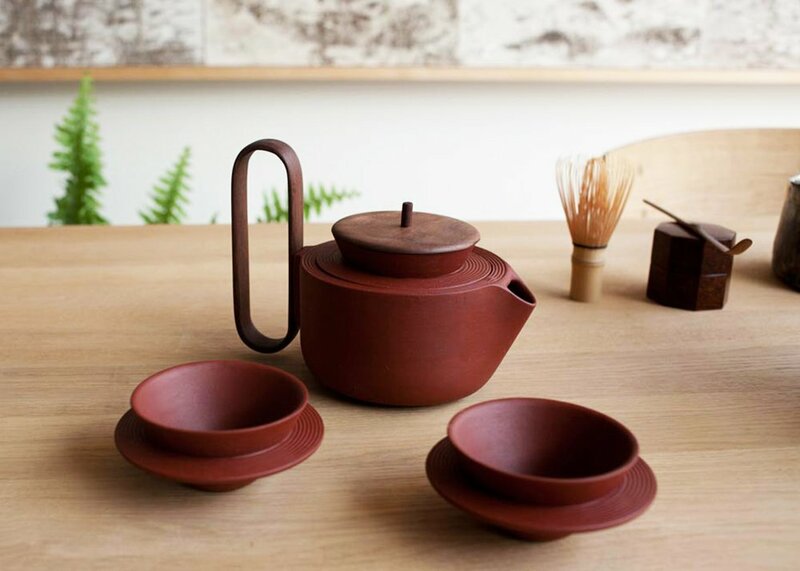 The colored pigments are made from metal powders that are commonly used in fine oriental lacquer elements. 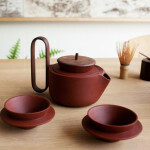 A dark wooden lid and handle complete the elegant design. More of Luca Nichetto’s designs here, and Lera Moiseeva’s here.